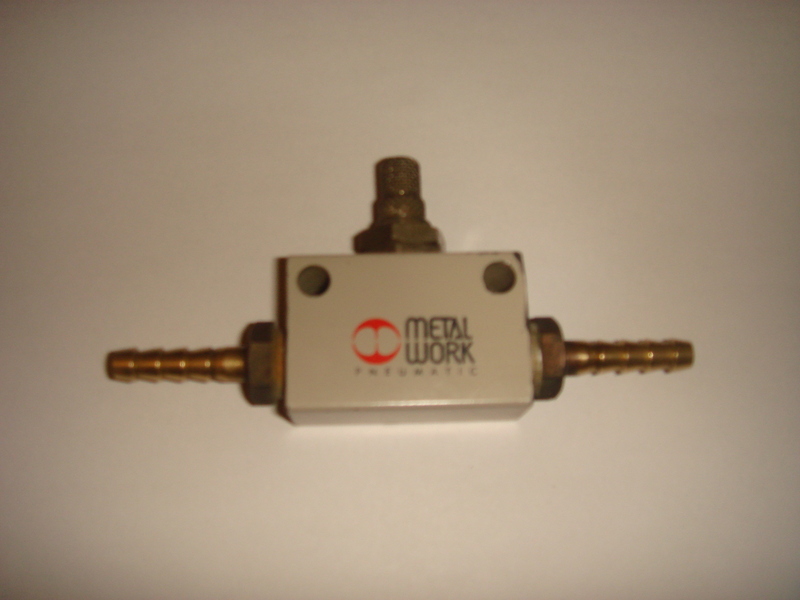 A quick cheap method of getting more boost is to replace the Boost control valve with a simple adjustable valve. This method will let you adjust boost upto the ECU cut off limit of 1 Bar. 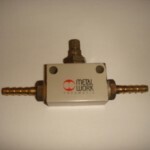 The metal work valve Shown above will cost about £12 and is available from SP Airtool Ltd 9041203 . You will also need 2 X 1/4″ Hose adaptors. Although I have used this valve for several years without causing any damage to the engine unlike the Mountain Chip It does not allow the ECU to add additional fuel at high boost levels. One of the easiest performance upgrades available for the Elan. The stock programming of the ECU gives the Elan’s turbo a maximum boost of .65 bar and a fuel cut off limit set at .92 bar, giving an estimated 165bhp. With the mountain chips installed, the ECU will allow a maximum boost of .95 bar and raises the fuel cutoff limit to 1 bar, giving an estimated 200 bhp while still having the ECU maintaining the correct air fuel ratio at any boost level. If you want to convert to a closed loop system to take advantage of the extra performance offered by the V5 you will also need to install an oxygen sensor. Bosch 15701 Oxygen Sensor . 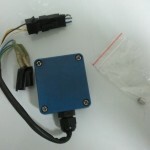 If you have an S2 Elan the O2 sensor is already installed. 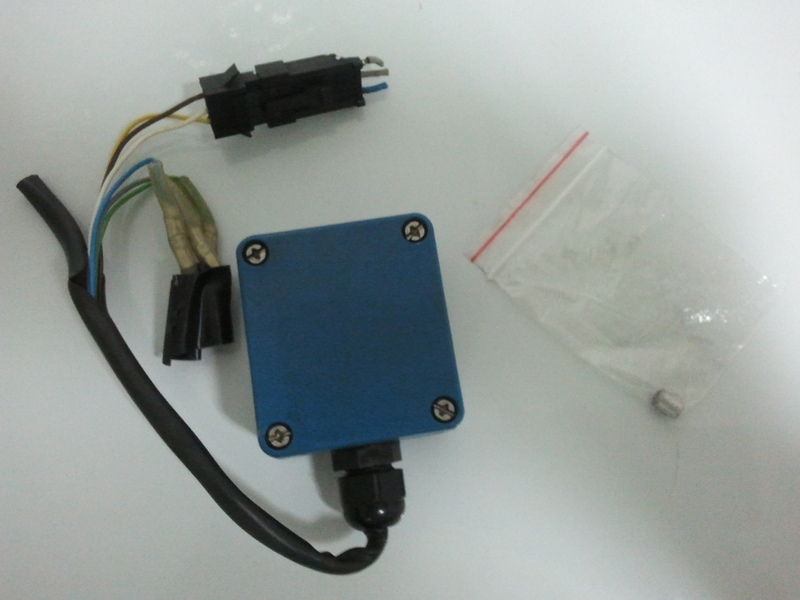 If not, this sensor will plug directly into the existing wiring loom. The sensor plug can be difficult to remove. I would recommend soaking it with penetrating oil for several days prior to removal. Also taking the car for a good blast down the highway and getting things nice and warm then cool the plug using an ice cube. 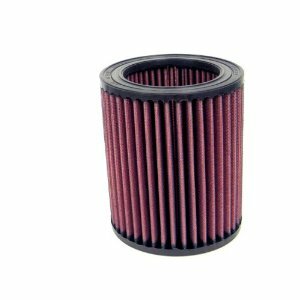 Top End Performance have developed a High flow steel inlet pipe which is fitted with a K&N open filter. p/no. B050A6. A BoV is used to prevent compressor surge, and reduce wear of the turbo. BoV’s relieve the damaging effects of compressor surge by allowing the compressed air to vent to the atmosphere, making a distinct Whooshing sound. Although the Baily dump valve seems to be quite popular with Elan owners. It does involve cutting the hose between the intercooler and the throttle body. 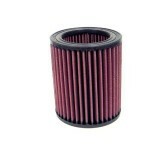 The Top End Performance Kit Uses a HKS bov. and a metal pipe to replace the origional rubber Lotus pipe. The HKS bov is adjustable and works well with the Everest chip installed. I have been using the TEP pipe and HKS bov for almost 10 years and can highly recomend it. You can choose to have the pipe powder coated in a range of colours. Depending on your throttle position when changing gear. Some BoV’s can be quite loud. Therefore some owners may prefer too use a recirculating dump valve. Which ports the excess air back into the intake upstream of the compressor inlet. 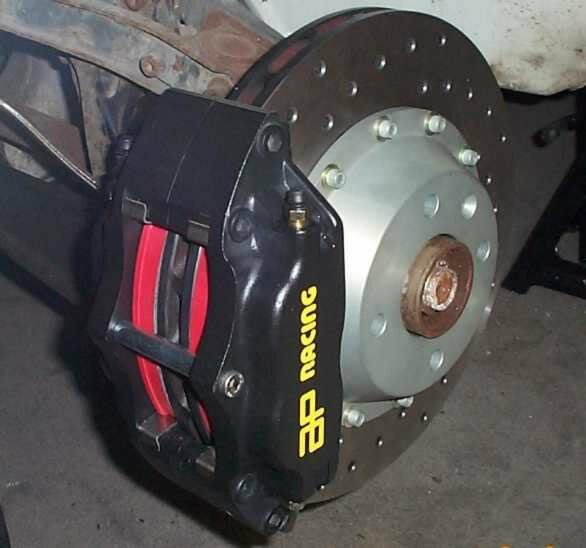 Now with all the extra performance from the mountain chip, the next thing to look at is improving the poor stopping power of the elan. Depending on budget there are several options available. Changing to a good quality set of pads can make a huge difference. When I first got my Elan. I had alot of problems with the brakes. Getting rid of air in the system was my first problem. No mater how many times I bled the brakes the pedal Just did not feel firm. Eventually I purchased a Gunson Eezibleed Kit.Then changed the front pads to Mintex M1144 compound race pads. Wow! what a difference. It is now easy to lock up the brakes. At the time I found camskill.co.uk to be the cheapest place to get them. The drawback about the M1144 compound that I have found is you will be cleaning your wheels more frequently. 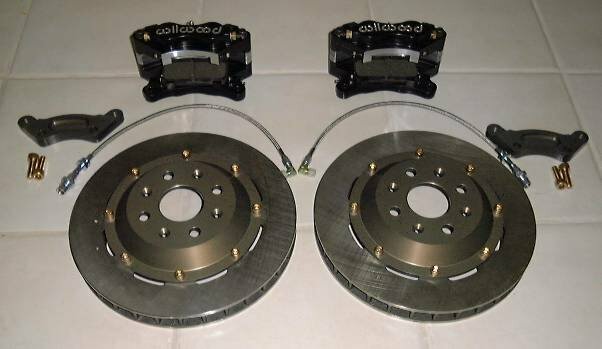 There are several companies that offer a bolt-on 4 pot calliper for the Elan. Hi Spec, Willwood, AP racing and Tarox all offer kits for the Elan. 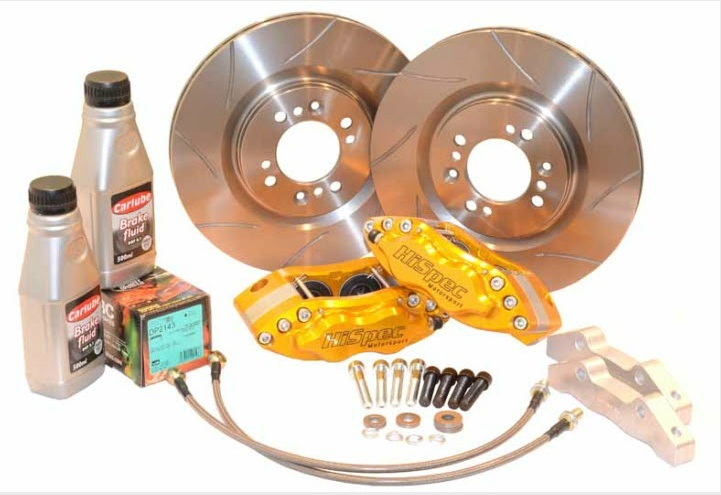 The cheapest system is the Hi-Spec 4 pot calliper kit. The 275mm kit will fit under the standard 15″ wheels of the S1 cars. Although their website states that the 283mm kit will fit a 15″ wheel. Unless they have changed it in any way since I bought my set. They will not fit. If you opt for a larger disk then you will either need to use wheel spacers or upgrade to larger wheels. Good points: This kit has now been available for over 10 years and after ironing out early problems now seems to be a good replacement for the standard brake calipers. There are a multitude of colour options available for the callipers. I have had my callipers for about 10 years and once fitted with a good quality set of pads and bled properly have had no problems with them. The Hi Spec lit also benefits from having dust seals. Reliability and quality seem to be good. Current price is about £600 + VAT (if you are in the UK). Bad points: Hi spec customer service is very poor. When I first got my kit I would have ranked their customer service as 0 (on a scale of 1-10). That was 10 years ago… Unfortunatly their reputation has not improved much over the years. But at least the product has. 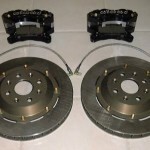 The 275mm kit uses re-drilled brake disks. Some of the mounting holes are quite close to other holes. I have not heard of any disks cracking. Another high quality product. Although not as popular as the Hi Spec brakes. Probably just down to the price difference. Although they do seem to be the prefered option for the US market. The disks have the benefit of aluminium centres. But the callipers for the 15″ wheels do not have dust seals. These help eliminate the spongy pedal feel under arduous conditions, giving greater braking efficiency as well as providing superior resistance to abrasion and corrosion Consisting of a PTFE inner with a stainless overbraid covered in a clear outer coating.